This bestselling compilation of CCR’s most memorable rock-n-roll songs is ranked at number 59 in Rolling Stone’s list of the 500 Greatest Albums of all time. From “Susie Q” to “Bad Moon Rising”, “Fortunate Son” to “Who’ll Stop the Rain”, and “Run Through the Jungle” to “Lookin’ Out My Backdoor”, CCR’s enduring hits have been featured in film classics as diverse as “Apocalypse Now!”, “Forrest Gump”, and “The Big Lebowski”. Classic Albums Live performs note for note and cut for cut some of the greatest rock albums ever made. 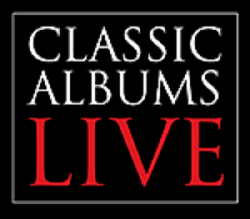 Relying only on the music, without all the gimmickry and cheesy impersonations, Classic Albums Live uses the world’s best musicians to re-create live productions of landmark recordings that you’ll fall in love with all over again.